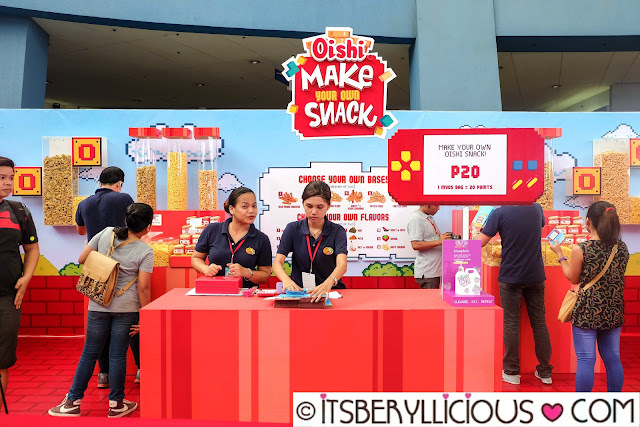 I finally experienced the famous Oishi Snacktacular 2016 last weekend. Now on its third year, Oishi Snacktacular got bigger and better with more booths and activities compared to previous years. 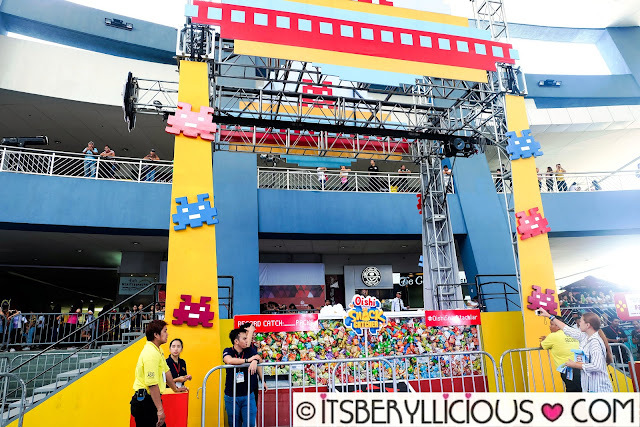 The event was held at SM Mall of Asia Music Hall which was also a bigger venue than the first two runs at Glorietta and Trinoma. It was so much fun I can't believe I missed this O,Wow! kind of event during its first 2 years. Welcome to the Oishi World of O,Wow! Registration was free so everybody can go in the activity center. 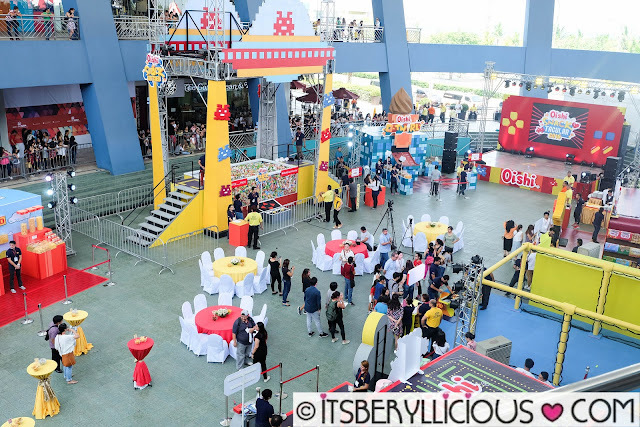 Some booths required minimal fee, but it was totally worth the prizes and treats that you'd get. I'm glad I came early so I was able to visit and participate in the booths without the long wait. I jumped inside a giant pack of Oishi Prawn Crackers and posed for a photo at the Pack & Pose booth. 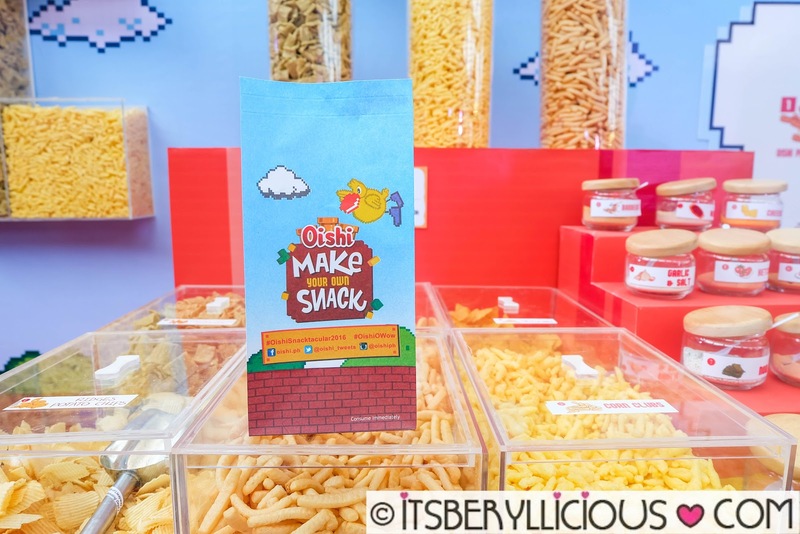 I dropped by the Make Your Own Snack (P20) booth as soon as I arrived, so I can munch on some potato chips while going around the activity area. 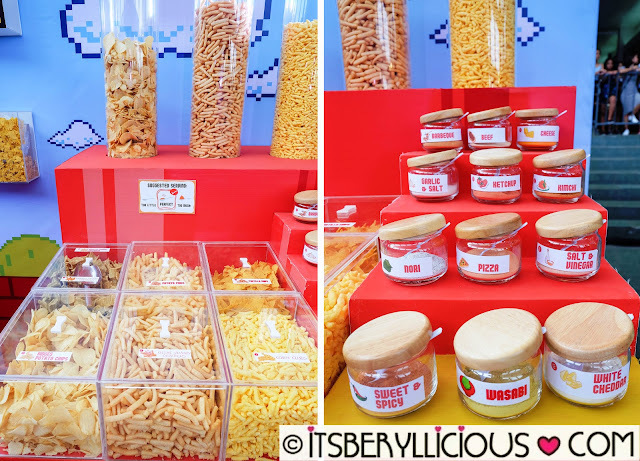 For this booth, you can choose two kinds of base chips and two kinds of flavor powder. I chose ridges potato chips and corn clubs with nori and white cheddar flavors. 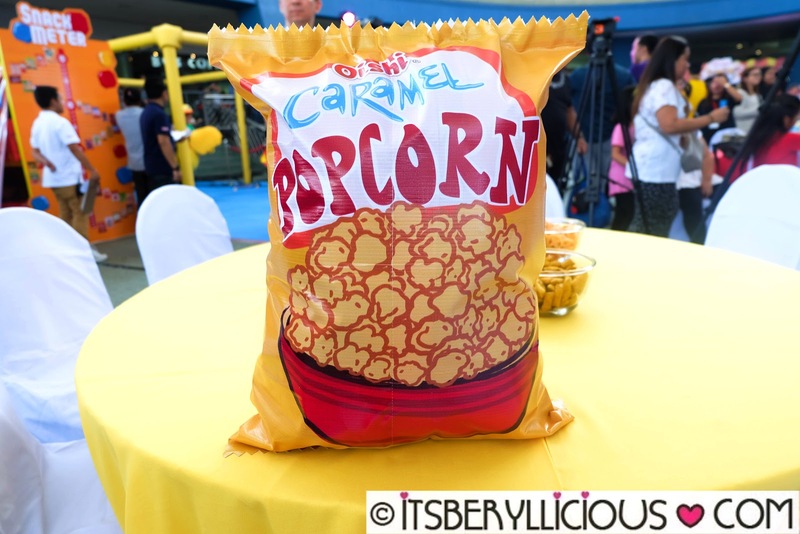 Don't forget to shake the bag to coat everything with powder. 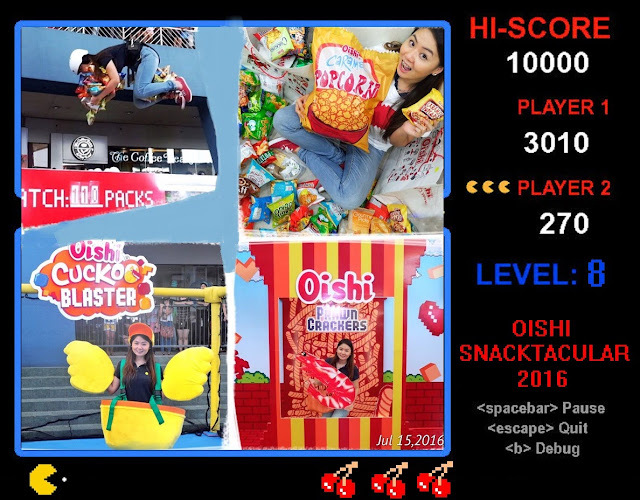 The most sought after booth was the Giant Snack Catcher that turns you into a human crane. 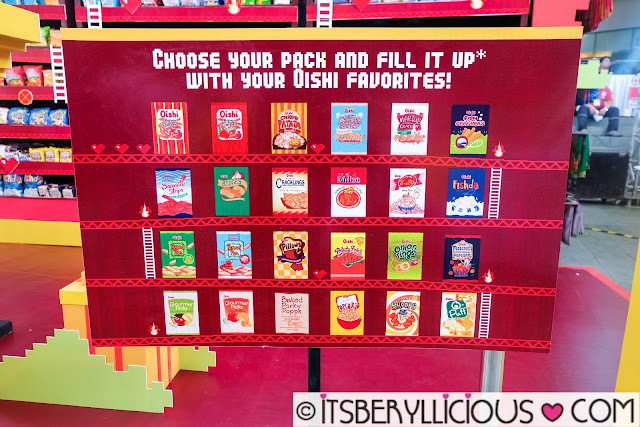 For just P200, you will be strapped into a harness and dipped into a pool of assorted Oishi snacks. The objective of the game is to catch as many treats as you can by using your hands, legs and body. Everything you catch will be yours to take home. Average per person is around 70-80 packs. I was only able to get 69 packs. Not bad for a first timer right? This guy was my peg, but as you can see in my photo, I was only able to utilize my hands and legs. 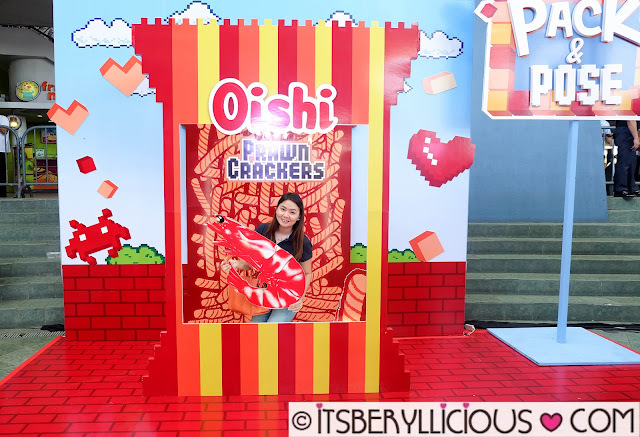 Still, taking home these two big bags of Oishi goodies made me feel like a grand winner! Another booth that most attendees look forward to is the Snack Shack, wherein for just P295, you can fill up a 2 ft. Oishi pack with your favorite snacks in 1 minute. One tip here is to get smaller packs that have less air inside so it is easy to stuff everything in. 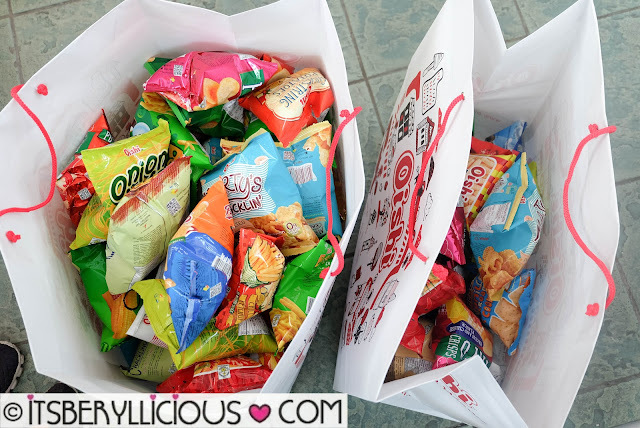 I had a hard time closing my bag because of the Oishi Gourmet Picks that I got. Good thing I was able to hoard some packs of my favorite Sponge Crunch. A new game this year was the Cuckoo Blaster (P100) wherein you will be dressed as a Cuckoo bird and you'll need catch as many balls as you can. The number of balls you get equates to the number of Oishi snacks you'll take home. I got a total of 15 balls out of 45. Will have to beat that score next year! 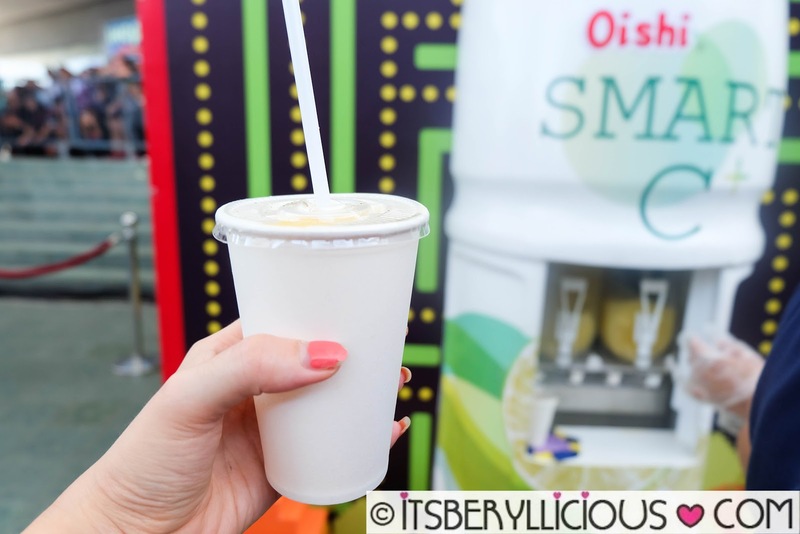 After the exciting games, I quenched my thirst at the Oishi Slush C+ booth. For P20, you can enjoy a cup-filled slushie of your favorite Oishi Smart C+ drink. I chose Calamansi over the Pomelo flavor. 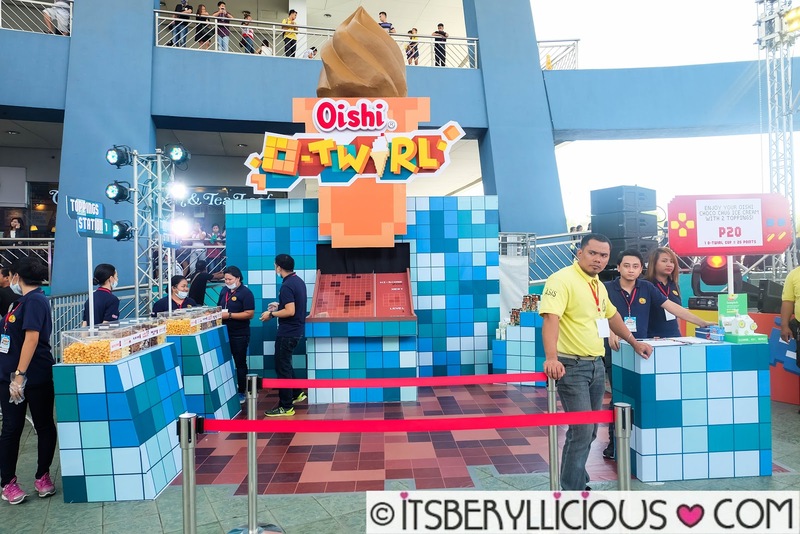 Another booth perfect for the hot weather was the Oishi O-Twirl. 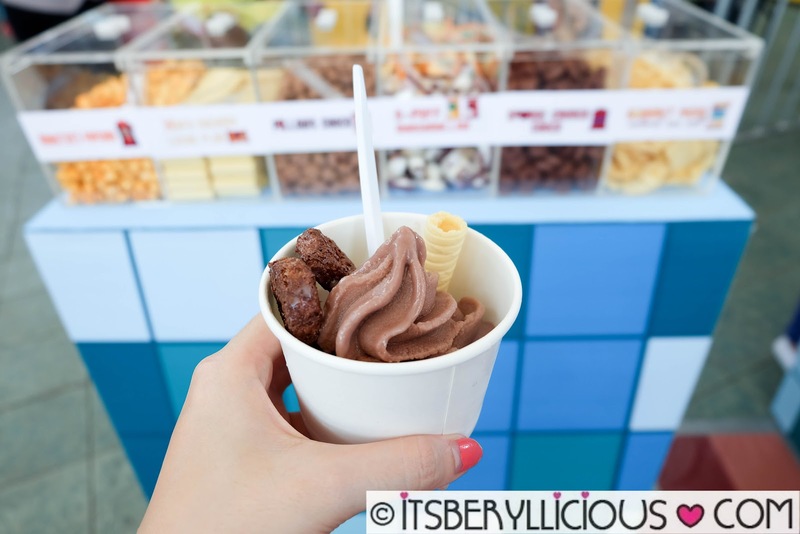 For just P20, you can enjoy a cup of Oaties Choco Chug sundae with two choices of Oishi toppings. 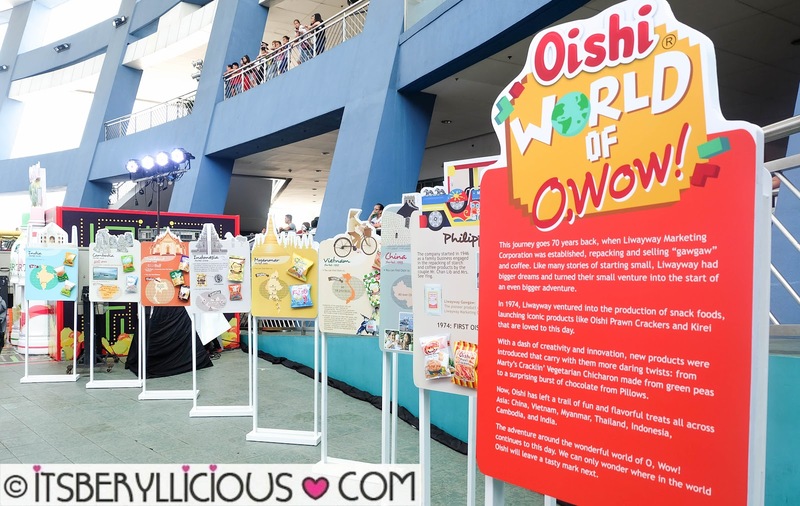 The event was attended by the Oishi Team O members: Alex Gonzaga, Daniel Padilla, Kathryn Bernardo, Slater Young, and Ramon Bautista with Sam Purvor as host. 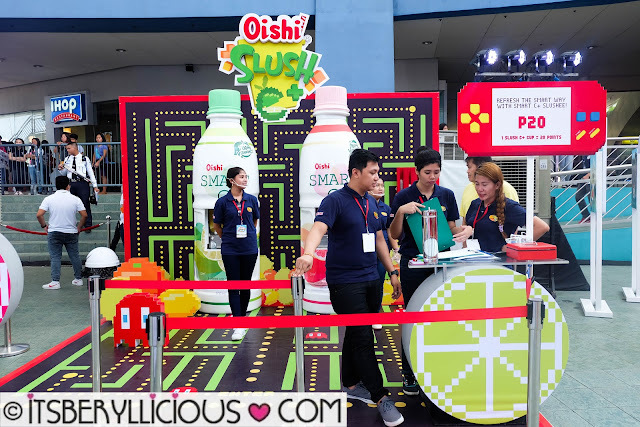 This year, Oishi also welcomed their newest Team O member Maine Mendoza. Everybody felt like a winner as they bring home big bags of their favorite Oishi snacks. Plus, they even got the chance to meet and greet their favorite stars. 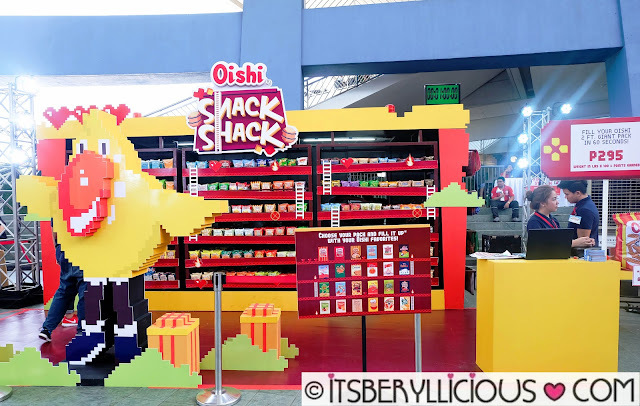 I can't wait for Oishi Snacktacular 2017! I'm pretty sure the Oishi team will be making it even more exciting and fun as they continuously improve every year.